Is it me, or has summer been a long time coming? I know you are thinking about it too, now that I’ve flaunted this delicious looking treat in your face. 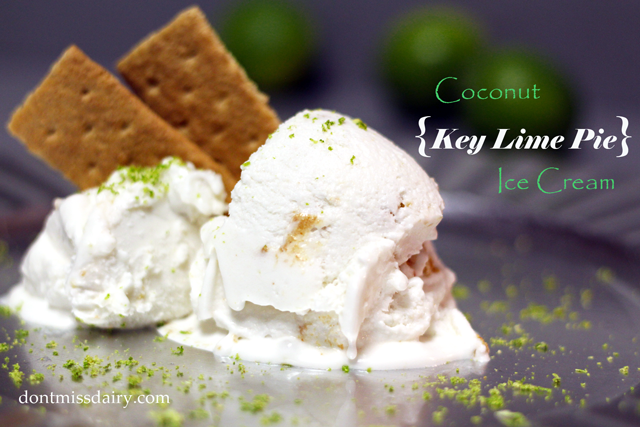 What screams summer-time ice cream flavor better than key lime pie? 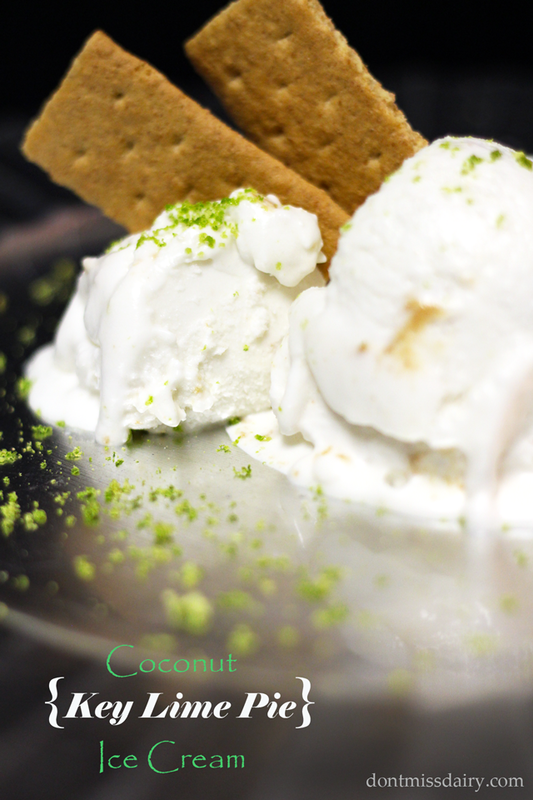 I scream, you scream, we all scream for key lime pie ice cream! I know that’s so cheesy, and yet not, because it’s completely dairy-free! It’s vegan and gluten-free as well, with only four ingredients. Who’d have thought that something so delicious could be so darn simple. If you are vegan or lactose intolerant and do not have an electric ice cream maker, I highly recommend getting one. It’s not very expensive and it’s so worth it to make your own dairy-free ice cream. Store-bought dairy-free ice cream is great, but it’s pricey. Mostly because it’s only sold in small containers. It also usually contains unnecessary thickeners and fillers–yuck. Making it at home is convenient, easy, and healthy. The hardest part for me is storing the bowl in my teeny tiny little freezer, but I make room for it. Why? Because it’s such a treat to make my own dairy-free ice cream! Seriously, it’s the best thing ever. Happy summer! Whisk coconut milk and sugar together in large bowl until sugar is dissolved and any solids are melted. Add lime juice and lime zest and stir to combine. Set up electric ice cream maker according to directions and pour mixture into ice cream maker, allowing to churn for 20-25 minutes. Scoop soft ice cream into a large mixing bowl and add graham cracker crumbs. Fold in gently to combine. Freeze for at least 1 hour before enjoying.